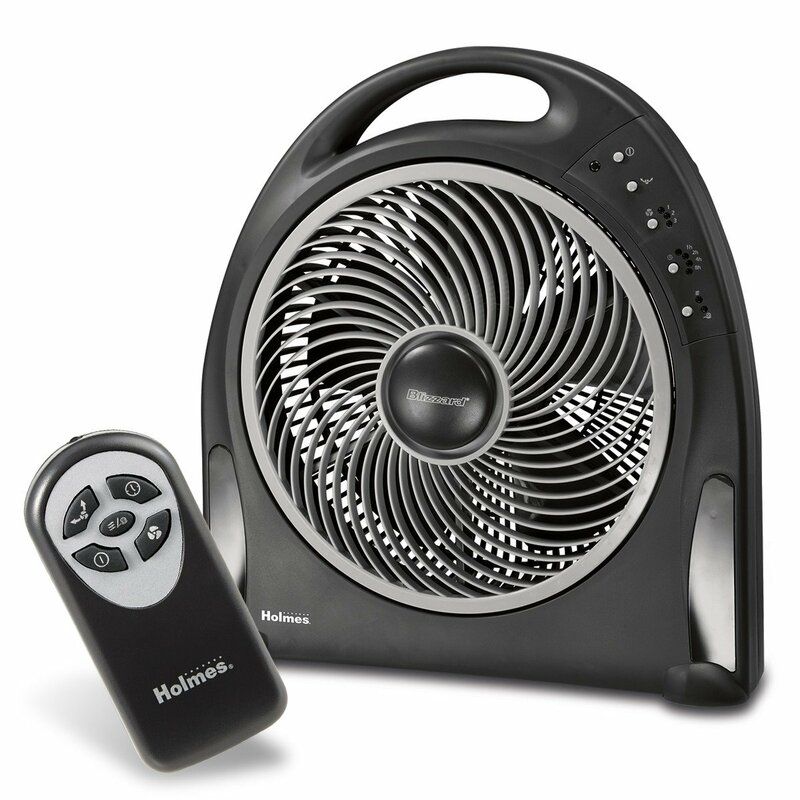 The Holmes HAPF624R-UC is advertised as a power fan with an “advanced blade system,” which supposedly helps in maximum airflow delivery. It can’t be mounted on the floor, but it has a remote control where you can control the following functions: oscillation, timer, and speed. Let’s not forget that this fan also has a sleep and breeze modes, and when the set time reaches 0, the unit automatically shuts off. Yes, this power fan oscillates, giving you a 40% of increased airflow. Although it doesn’t come with a sleek control panel, its simple button controls are straightforward and very easy to use. Indicator lights come with every button to show your preferences. Now, let’s ask the ultimate question: Is this power fan any good? What do previous buyers have to say about their unit? Let’s give you a rundown of these feedback through this Holmes HAPF624R-UC review. 1 Does it provide cooling relief well? Does it provide cooling relief well? First, let’s mention that the Holmes HAPF624R-UC is not an airconditioning unit. It definitely helps with airflow, but it can only decrease the temperature by a slight degree. That said, during extremely hot days, you might want this as a supplement to an AC unit. The oscillation feature helps to some extent. But remember, it cycles, so there’s a “waiting time” before you feel the breeze again. One person said that this pattern is good for sleeping especially if you don’t want a constant stream of air to be directed towards you. Generally speaking, compared to other brands, this fan has better coverage (because of the rotating grill), and it also has more than enough power to move air around. One person shares that even if you’re 5 feet away, you can still feel the breeze being blown at you. Overall, this unit is quiet when set to low. But as the speed progresses, so is the noise. You can hear the sound of the fan, but it should not be too loud to disrupt your TV experience, or a normal conversation. Here are some descriptions given by previous buyers regarding the sound this fan makes. 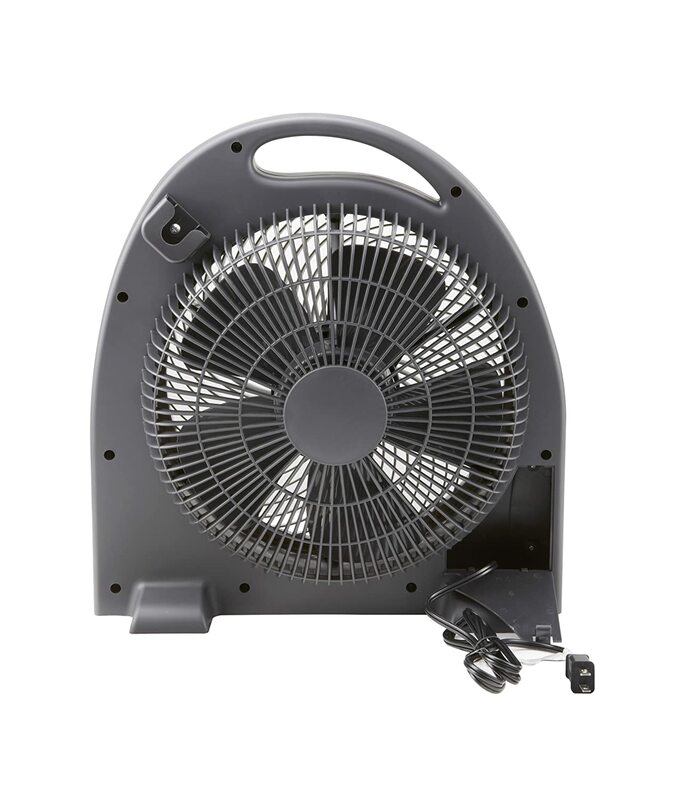 It has also been compared to a typical box fan, and the verdict is that the Holmes HAPF624R-UC is much quieter. Also, compared to a bladeless fan, this is much louder. Not everyone agrees, though. Some people find that this fan is quite loud. The image on the right shows the back side of the Holmes HAPF624R-UC. The Holmes HAPF624R-UC has its limitations. Here are some that have been mentioned by previous buyers. One, the control buttons can let out a “beep,” which can be annoying to you. Unfortunately, there’s no way of shutting them down completely, or minimizing the intensity or volume of the sound. In case you want to know, nope, this fan cannot be tilted. Neither can it be mounted on the wall. This fan doesn’t have a cooling chamber. So in extremely hot days, this is better as a supplement to an airconditiong system. Does it remember your last settings? No. 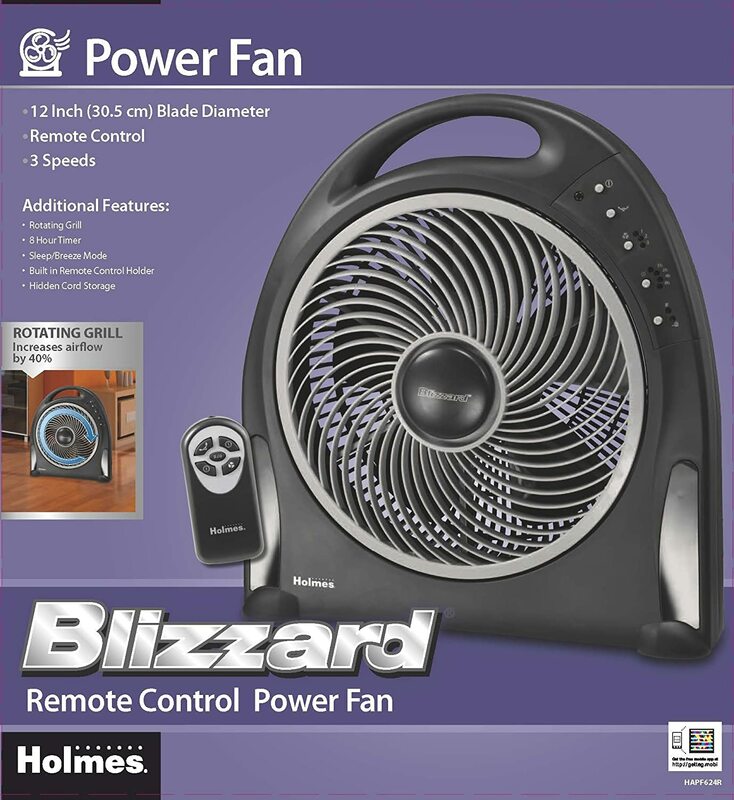 Should you buy one of these Blizzard power fans? Let’s end this Holmes HAPF624R-UC review with this recommendation. On a popular online retailer, the Holmes HAPF624R-UC is one of the fans that has received consistently positive feedback from previous buyers. So to answer the question, yes, buy the Holmes HAPF624R-UC if only for that. But more importantly, it does move lots of air, and the features are truly useful.